LOUISVILLE, Ky. -- Humana Inc. (NYSE: HUM) is sponsoring an Innovation Challenge in California to make digital health records – specifically in the Medicare space - more useful to patients, physicians, caregivers and others who need to see complex data in a more human-centered way. 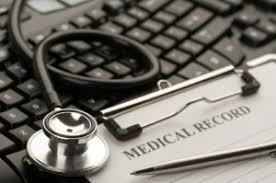 Traditionally, the health care industry has stored digital health records - medical claims, pharmacy claims, calls, letters, hospital stays, and health program participation - in disparate places across different systems. But with advanced data processing and analytics, it is now possible to assemble these data sources into a chronological “story,” with all the different elements stitched together into a logical time order. Now that the data is organized, the opportunity is to present the data through a tool simple enough to allow users to make sense of even the most complex chronic history. Sketch, InDesign, Balsamiq, Azure, Adobe XD, etc. Alexa, Google Home, Siri, etc. For the challenge, Humana will provide simulated patient data. The teams will be asked to bring these complex data sets together into an understandable, navigable experience. Humana is looking for students, individuals and early stage startups (pre-seed and seed stage) based in California that are excited about opportunities to help in the health care space. The official rules and other details can be found here. Teams can choose to develop a consumer-focused solution and/or a health care provider-focused solution. Each approach must show how to deliver value by improving clinical quality, decreasing cost, and making it easier for people to achieve their best health. The deadline for online submissions is Sunday, Dec. 3. Humana will announce six finalists, who will present their ideas to a panel of judges on Tuesday, Dec. 19. The first place team will receive $10,000. Second place will get $5,000, and third place will get $2,500.